Lynn and I had brunch at Isabella's over the weekend in part to celebrate my birthday (Oct. 24), in part to get out of the country and into the big city. The restaraunt was packed and the energy up due to the perfect fall weather. Despite the crush, we managed to get a table in less than 10 minutes; and, not just any table, a perfect ringside seat of Columbus Avenue where we experienced Grade A people watching. If there was any drawback it might be that the place seemed to have too many tables which placed a huge burden on the staff (wait and otherwise). Our waitress was pleasant and competent but there were some long spells between our seeing her which we chalked up to being overloaded with customers which we were sympathetic to for the most part. Despite our awareness of this staff stress it obviously did not enhance our experience for the most part. 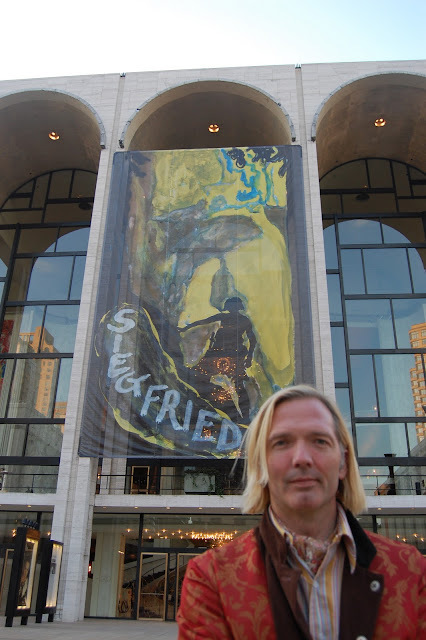 Lynn and I had done so much in upstate NY late last month we have had a hard time processing it completely. One of the real surprises of our trip was the discovery of The Whistling Kettle in Ballston Spa, NY (not far from Saratoga Springs). The Whistling Kettle is no demure tea room but a bustling energetic, high ceiling space with the energy of a great bar or steak house. Obviously the tea is the big draw here; but Lynn and I had a wonderful lunch with me having a hefty, old fashioned Cobb Salad and Lynn having a tasty panini. There are also some gluten free offerings that point to a forward thinking mentality with regard to food that is not an automatic thing in traditional minded upstate NY (at least in our experience). It is always interesting when an author takes a well established genre and adds a genuine twist. So it is with Gayle Trent's series of mysteries which have at its center a charming amateur sleuth/cake decorator Daphne Martin. 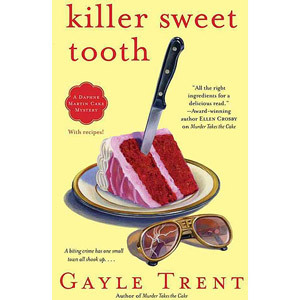 Ms. Trent's latest, Killer Sweet Tooth: A Daphne Martin Cake Mystery, finds her resourceful character knee deep in a murder investigation relating to the unusual death of a dentist. 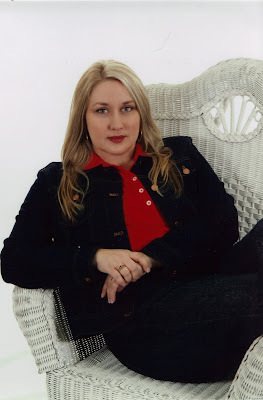 Ms. Trent was nice enough to correspond with Mark and Lynn about her work, her characters and how she balances her character's skills as a cake decorator and detective. M & L: There are food oriented novels and mystery novels; how do you manage to connect the two so that they make narrative sense? GT: "I basically have Daphne baking and using her cakes to either figure out or get her into murderous situations. When she's baking, she's usually trying to sort out her thoughts. Of course, delivering the cake or making a cake for someone or some event is usually what gets her involved in the mystery." M & L: What kind of feedback do you get from fans? Do you think you have more mystery fans or food fans reading your stuff? GT: "I think more mystery fans are readers of the book, although many of them enjoy the cake decorating tips and the recipes as well." M & L: Why did you make Daphne a cake decorator? Why not a chef? A vineyard owner? GT: "I'd taken a cake decorating class with my daughter, and during that process we became engrossed in the world of cake decorating. We began watching the shows on Food Network, and we saw how much really went into the craft as well as the business." M & L: What are your work habits like? Do you always write? GT: "I do my best. Today, however, my work day has been truncated because I'm having to pull up living room carpet. Ugh! I'll bet Patterson and Evanovich (New York Times Bestselling authors) don't have to replace THEIR own carpet. Seriously, though, I'm typically at my computer from 8 a.m. until 2:30 p.m. every day." M & L: Who do you see playing Daphne if the series is optioned for tv or film? GT: "I'd love to see Sandra Bullock in the role. And the pet shop owner in MURDER TAKES THE CAKE would definitely need to be Sam Elliot. Jonathan Rhys Meyers could play Elvis impersonator Scottie Philips. Olympia Dukakis would rock as Myra. And my children would want Johnny Depp to play every other role. Not that we've given this much thought.... ;)"